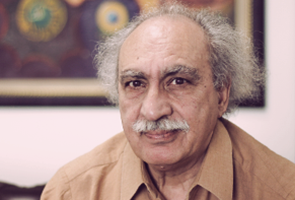 Dr. Zafar Rashid has a Ph.D in Biochemistry from the University of Essex, UK and taught at the University of the Punjab-Pakistan for 40 years. He retired as Professor in 2007. He has been teaching and conducting research in the areas of petrochemical industry and environmental science. In addition Dr. Rashid has taught courses on ‘Science and Civilizations’, ‘Theory and Applications of Science’ and ‘Introduction to Life Sciences’ at the Lahore University of Management Sciences (LUMS) in the capacity of Adjunct Faculty. His most recent appointment was as Professor and Head, Programme Management Committee at the Institute of quality and Technology Management at the Punjab University from 2007 to 2013. Dr. Rashid has served as Member, Board of Studies, Institute of Chemical Engineering and Technology University of the Punjab, Lahore from1992 to 2007 and as Member, Board of Studies, Institute of Quality and Technology Management, University of the Punjab, Lahore from 2005 to 2013. He has been a member of the Academic Council at the University of the Punjab and is currently a member of the Academic Council the Lahore College for Women University. In his student days he studied chemistry at the Government College, Lahore and represented Pakistan in Beijing in 1966 as a member of the Pakistan table tennis team. He was Director Sports, University of the Punjab, Lahore, in 2011-12. 2012 Co-Chairperson, Session - 3 International Conference on Engineering Sciences (ICES-2012), organized by Institute of Chemical Engineering & Technology, University of the Punjab, Lahore, Pakistan. 1967 Certificate of Merit, Government College Lahore. Head of Program Management Committee Institute of Quality & Technology Management, University of the Punjab, Lahore (2007-2013). Member, Academic Council, Lahore College of Women University (2010-2013). Member, Board of Studies, Institute of Quality and Technology Management, University of the Punjab, Lahore. 2005- 2013. 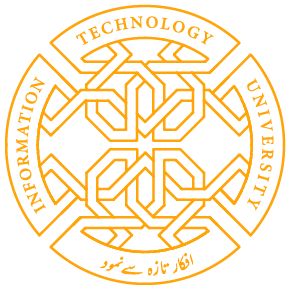 Member, Board of Studies, Institute of Chemical Engineering and Technology University of the Punjab, Lahore. 1992-2007. Chairman, Appellate Committee, University of the Punjab, 2006-2007. Elected member, Academic Council, University of the Punjab, Lahore, 1986.